Material Handling Equipment & Installation Company. Easy Rack Is a material handling equipment company that provides sales & installation nationwide of new and used pallet racking, conveyor systems, pick modules, commercial shelving, mezzanines, modular buildings, commercial freezer installation, loading ramps, cranes and more. There are numerous material handling equipment companies who offer products online, but very few can boast the comprehensive range of high quality tools and labor saving devices that you need to run a modern business in one place. If you are buying tools to make your business run better and be more efficient, then being able to source all of your requirements from a single supplier makes great sense, and ensures that you are able to keep a much more simple supply chain for your business. When it comes to choosing a material handling equipment company to give you the ability to run your business as efficiently as possible, you need to be confident that your partners are as committed to quality as you are. 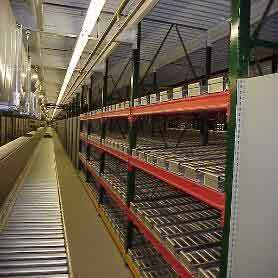 Easy Rack are one of the leading material handling equipment companies that you can find. We offer a full range of equipment to make all your processes safer and more efficient. From simple devices like carts, trucks and trolleys through to more complex systems such as our impressive range of gantry cranes, jibs, and other lifting systems, we can provide you with everything that you need for your whole operation. Easy Rack cares about the whole process of your business from manufacture to distribution and beyond, and as a leading material handling equipment company, have the experience to provide you with expert advice, and help you to find the tools and equipment that you need. 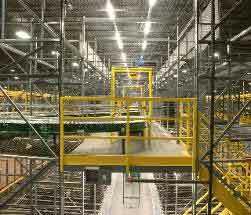 Thanks to the ability that Easy Rack has to answer your questions, and the value that is placed on ensuring your satisfaction, not just with the products that you buy, but with the way that you buy them, we are confident that you will chose Easy Rack as your preferred materials handling equipment company. With our commitment to your business, and helping to ensure that you are able to carry out every process you need with a minimum of fuss, not to mention the fact that whenever you buy online from us, you can take advantage of our exceptional prices and customer care facilities, you can rely on Easy Rack to meet your needs for a material handling equipment company that you can trust. When it comes to giving you the best quality products and the best advice through our ask the expert service, we are sure that you will find that Easy Rack is the material handling equipment company to work with you to grow your business every day. Give us a call @ 1-888-776-3720 to talk to one of our material handling specialists.